Atlantis, Oratorio for soprano, baritone, 2 harps solo, large mixed choir and large orchestra. The Film music was composed for Saxophone player William Raaijman, who died soon after the music was recorded. 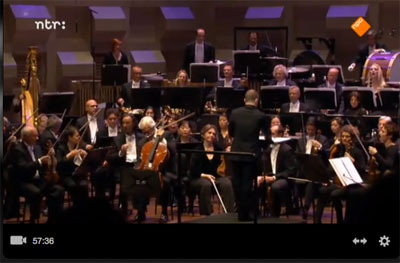 De Doelen Ensemble was conducted by Maarten van Veen. Megumi is a dramatised documentary on the real life of Megumi Yokota and is dedicated to William Raaijman. De Raaff adapted the music in to his Megumi-Suite, In Memoriam William Raaijman, for saxophone and ensemble.